It’s hard to consider 2016’s music without thinking about the women who made it. The new year was rung in by Adele’s “Hello,” a soaring track that was inescapably catchy, and the months that followed made it clear that music’s biggest female artists were ready to bring their A games: Both Beyoncé and Rihanna dropped albums, each in their own ways exercises in innovation and evolution. Katy Perry sang the song of the Olympics. Even Taylor Swift in an off year had a couple Top 10 hits. At the 2017 Grammys, many of those women were in the spotlight, whether as performers, nominees, or both, with Adele in particular cleaning up. Just as Taylor Swift was the story of last year’s Grammys, the celebration of pop’s biggest female stars at 2017’s ceremony seemed to imply that 2016 was another great year for women in music. And no question, it was — for a handful of them. What that narrative obscures, however, is how difficult it remains for women to break into the industry at every level. This is the second year I’ve done a count of female artists, writers, and producers in the Top 40, according to the Billboard Hot 100. (While the Grammys’ bizarre eligibility window is from September 30 to October 1 of the following year, this analysis looks at Jan 1–December 31.) And guess what! 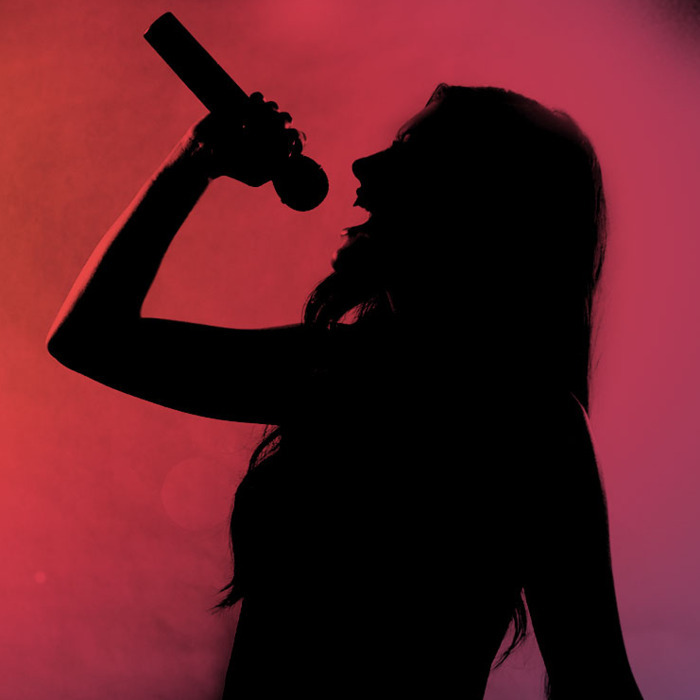 Only 22.3 percent (46 total) of the 206 songs in the Top 40 were sung by women. Even if we include the 32 songs from 2016’s Top 40 songs that feature at least one woman — like any of the numerous Chainsmokers hits that rely on a female vocalist (“Rozes” feat. Roses, “Don’t Let Me Down” feat. Daya, and “Closer” feat. Halsey, etc.) — it’s still just 37.8 percent of charting songs that involved female artists. Those numbers aren’t anomalous. When I did this analysis last year, songs by women alone made up 25.8 percent, and the total number of songs including a woman hit exactly 37 percent. That’s even lower than the findings of an analysis of gender disparity in Top 40 music that was published in 2011 by a Canadian research team led by Concordia University sociologist Marc Lafrance. Reviewing charts from 1997 to 2007, the Lafrance’s team found that in terms of sales, male artists had 238 hit songs (54.1 percent) and female artists had 182 (41.4 percent). The researchers also saw that as the study went on, the disparity increased: Starting after 2004, Lafrance and his team saw a shift where “the number of hits by men increase dramatically” while songs performed by women steadily dropped. There’s a logical explanation for this: The drop-off happens around the time Billboard modernized the way its singles and albums charts are calculated. In 2005, Billboard changed its methodology to include digital downloads, and in 2007, it included digital streaming. In 2013, they added video streaming from sites like YouTube. There’s certainly a correlation between the music industry’s digitization, and women’s drop in representation. In 2016, only 22 percent of popular songs were performed by only women. That’s a huge drop from the 41.4 percent that women performed in the decade Lafrance studied. “Much more than male artists,” the study notes, “the female artists who do well on the charts are an increasingly important part of the celebrity tabloid culture .” Since women like Beyoncé, Adele, Rihanna, Taylor Swift, Ariana Grande, Katy Perry, and Nicki Minaj occupy so much space in the public discussion of music, it’s easy to lose sight of how little of the Top 40 they really make up. But because these women have to deal with the swirl of tabloid culture in a way that few of their male colleagues do, the thinking goes that it can be difficult for them to maintain focus on their careers as artists and creators. If celebrity culture is to blame for women’s slowed output, though, you’d think that the gender disparity would narrow once you step outside the spotlight. Performers are the most visible members of the music industry, but they aren’t the only artists creating Top 40 songs. Songwriters are the ones to blame when you wake up with “Is it too late now to say sorry?” stuck in your head. And yet! 37 percent of songs (76 total) had at least one woman credited for lyrics, and women made up just 10.8 percent (96) of the total number of songwriters used (886). Most popular songs aren’t the work of a single writer. There are a few single-artist songs, but most great hooks require a team to build. The 206 Top 40 singles of 2016 took 886 songwriters to create, but only 96 of those writers were women — 10.8 percent. The singles that charted from the Weeknd’s album Starboy had 51 male writers alone; that’s more than half as many female writers as there are on the entire chart. Women might have helped write more than a third of this year’s Top 40 hits, but they always did so in rooms populated with men. While songs written only by men made up 63 percent of this year’s Top 40 smashes, only two songs were written entirely by women: Ruth B’s Vine-made “Lost Boy” and Tim McGraw’s “Humble and Kind.” The only song to have more female writers than male writers working in a team was “Like I’m Gonna Lose You,” by Meghan Trainor, featuring John Legend. 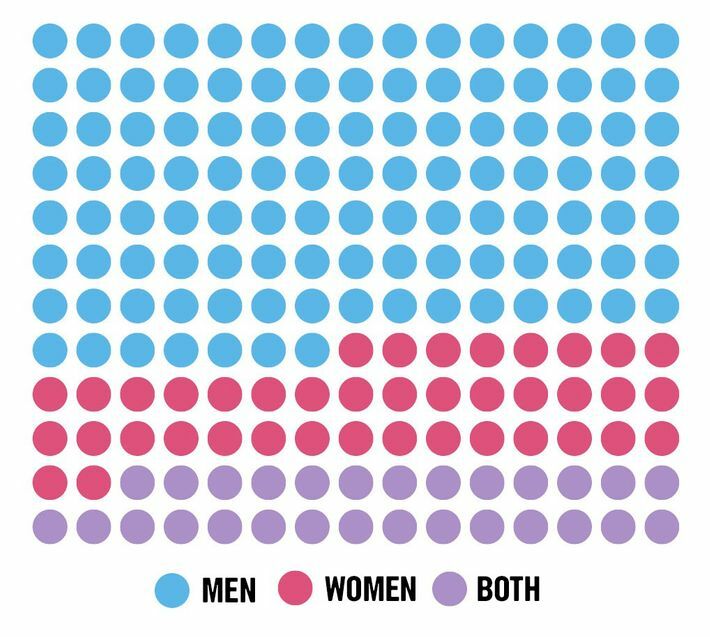 There’s no study to refer to on gender disparity among Top 40 songwriters, but last year’s data wasn’t much better: In 2015, women made up 13.5 percent of songwriters. 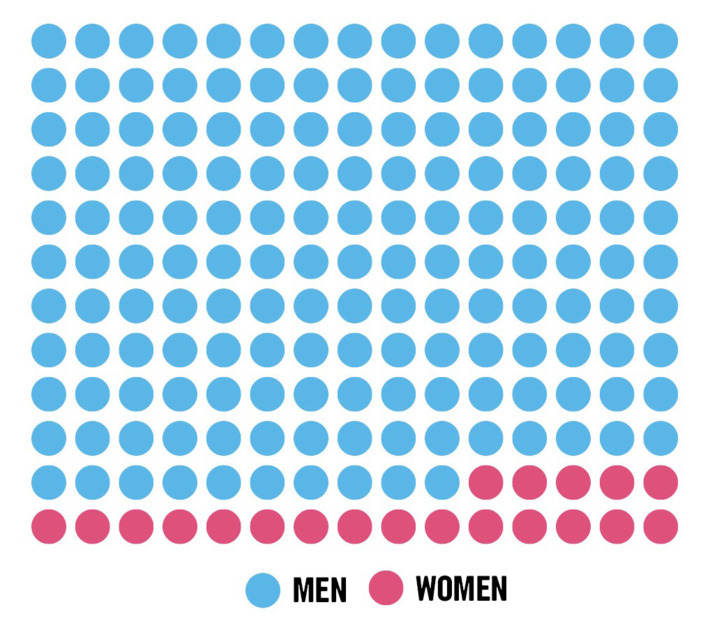 If the performer of a song is a woman, there’s a higher likelihood a woman will be called on to write the song as well; in that situation, women are 27.1 percent of the songwriters. When a man is the performer, women make up just 3.2 percent of the writers. A crazy-low number, right? Yes. 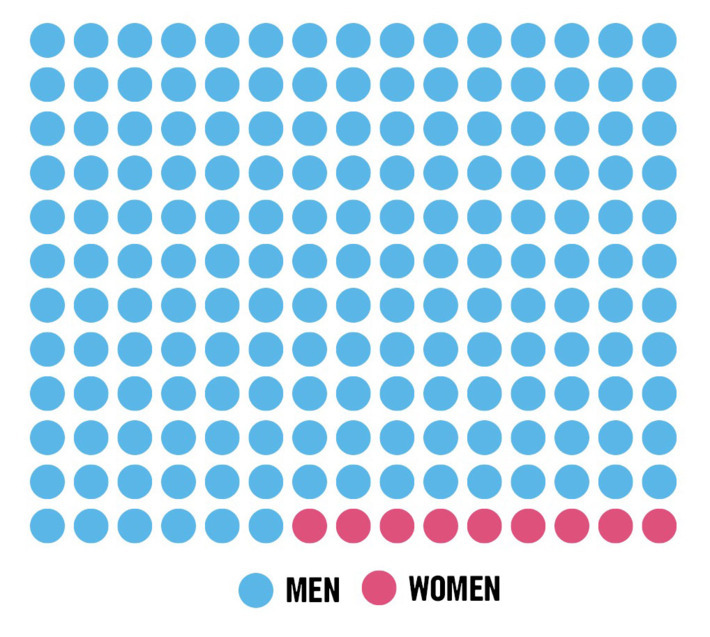 But it’s also not far off from the percentage of female producers who worked on top 40 music last year. 23 of the 463 producers who created Top 40 pop in 2016 were women. That’s just under 5 percent. Only one song from 2016 was produced exclusively by a woman: Ruth B’s “Lost Boy.” With the exception of that tune, men had a hand and a voice in every Top 40 hit. All five producers nominated for the Grammy for Producer of the Year (non-classical) were men. A woman has never, in the 42 year history, won that award. Seeing Beyoncé and Adele onstage holding a golden gramophone at the Grammys is always heartening. We just can’t let that image create a false impression of equality in the industry. Take one of the night’s most prestigious awards, Record of the Year. That category honors the performer and producers of the year’s best song. Five tracks were nominated: one each by Rihanna, Beyoncé, and Adele, one by Twenty One Pilots, and one by Lukas Graham. 36 individual people were listed as being involved in the creation of those five songs. Four of them were women. When Adele won the award, the recited list of collaborators on the song was composed entirely of men. To borrow from the singer herself: Hello?